I love wearing mascara. I love thick, full, long, dark eyelashes. And clearly I’m not the only one. Most women, even those who do not wear much makeup on a regular basis, will say that mascara is part of their makeup routine. Why? Because most people consider their eyes to be their best feature and want to accent them. Mascara will do that, even if no other eye makeup is worn. Of course there are hundreds, if not thousands of mascaras on the market that promise to make short, sparse lashes full, long, and dramatic. But do they actually demonstrate this in their ads? 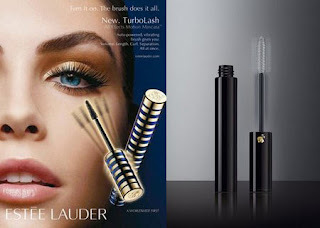 Do they actually use a model who has short lashes, expertly apply the product, photograph her and publish those images in their ads to show how well the product works? Never. 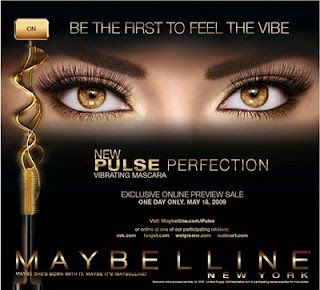 False lashes in mascara ads are misleading. Almost every mascara commercial or print ad I have come across, even ones for natural or organic makeup lines, feature models wearing huge, ginormous false eyelashes. Of course, all of the mascaras are supposed to do different things to the eyelashes; some lengthen, some thicken, some curl, some separate, etc. Apparently we are supposed to believe that these differently shaped brushes and different formulas (although they could be using the same formula with different brushes and we’d never know it…just sayin’) will give real women with real eyelashes these effects. Well all of the false lashes in the ads look the same to me. Ridiculously long, full, separated, curled, etc. Of course they do. Give Us the Real Deal. I challenge all of the cosmetic companies out there who sell mascara to photograph real eyelashes…not lash extensions or false lashes…real lashes. Have your artists work their magic with the product you are selling on the real lashes and then use THOSE images in your ads. You don’t even have to use models with sparse lashes (although it would really help your case)…plenty of models and real women have naturally long eyelashes. This way consumers can actually see how your product works and will be more likely to purchase it. It will also help you differentiate yourself among your myriad of competitors. I can’t tell the difference between these two products at all. Except one vibrates. And I don’t want to hear the excuse that real eyelashes don’t photograph well. There are these crazy things called zoom lenses and lighting…I hear they work wonders in photography. See? Lighting and a zoom lens. What a novel idea. Look, I am not against women wearing false lashes (as long as they are well applied and don’t look like caterpillars) or getting lash extensions. But I think it is dishonest for cosmetic companies to promise women results that can ONLY be achieved by using false lashes, not mascara alone, in their mascara ads. I couldn’t agree more! It makes women think people can actually look like that with their mascara, when there’s no way the commercials accomplish these looks without false eyelashes and/or extensions! I just stumbled on this while surfing your blog. So true! Its one of my pet peeves. I know! It’s almost as bad as ads for skin care products intended for mature skin being advertised on 25 year old models. I’ll probably write about that one soon too!